Chantilly Lace is Southwest Virginia’s premier source for all of your formal wear needs. 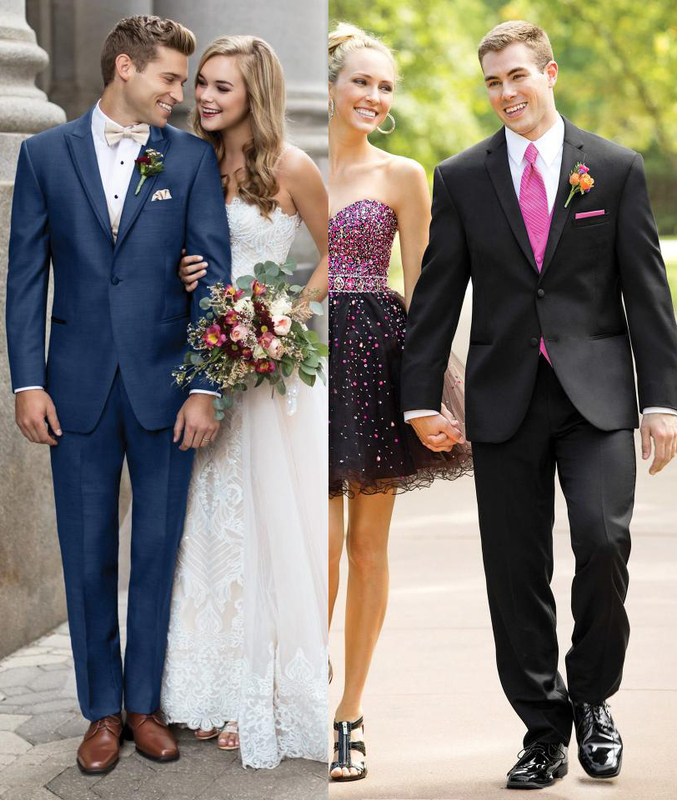 We offer a wide variety of styles perfect for weddings, prom, college formals, black tie affairs, and more. Our expert consultants will help you coordinate the perfect men’s attire to complement your gown. We are proud to work closely with Jim’s Formal Wear for all of your tuxedo and suit rental needs. Get a free pocket square with your prom tuxedo if your date got her dress at Chantilly Lace!